With its stunning natural beauty and proximity to the Atlantic Ocean and Gulf of Mexico, Florida offers many attractions that are truly memorable. Florida holidays are unique and special, with many sites the whole family can enjoy. Here is a list of some of the favorites. No family holiday in Florida is complete without a trip to the Orlando area. 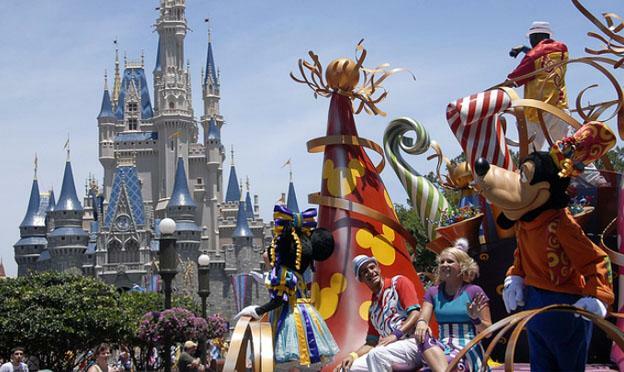 Theme parks abound in the Orlando area and include Disneyland, SeaWorld, Universal Studios, Discovery Cove, Wet ‘n Wild, Gatorland and more. The city of Orlando has many exciting nightclubs and restaurants as well, and shoppers will be amazed at the many choices for shopping, whether one shops on a budget or loves luxury. In addition to beautiful Fort Meyers, which is imbued with old Florida charm, the city has many outdoor adventures, as well as bird watching. Some of the various sports available here include biking, hiking, kayaking, fishing, canoeing or just enjoying the beautiful white sand beach and calm waters. 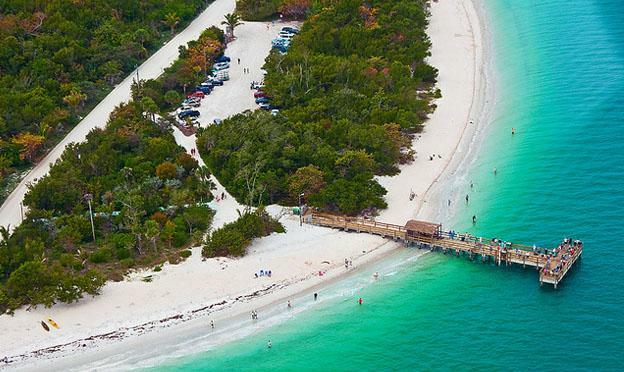 A visit to nearby Sanibel Island and Captiva is a wonderful choice for family fun or as a romantic getaway. Biking and shelling are popular on this charming island, as well as fishing and watching numerous types of birds. Local art galleries provide a bit of shopping for area crafts. Another getaway for a more secluded and romantic nature hike is Lovers Key, a barrier island that is somewhat more remote. 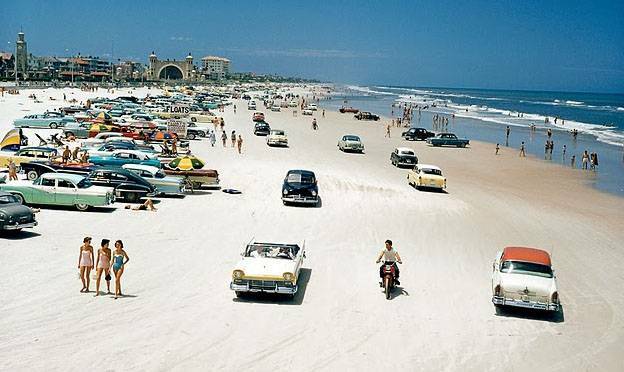 On the Atlantic side, Daytona Beach is one of the more popular destinations. Great waves pound the shore, and one can drive right along the beach here. Ponce Inlet Lighthouse is nearby and activities are numerous in the city of Daytona. For those who love quieter beaches and the Gulf of Mexico, Siesta Key Beach, near Sarasota, has gorgeous white sand is ranked as one of the best beaches in the country. With parasailing nearby, as well as kitesurfing, it is also for adventure lovers. Siesta Key Beach waters are famous for their jewel-like green color. It is said that a taste of the Caribbean can be found here, at the tip of Florida. 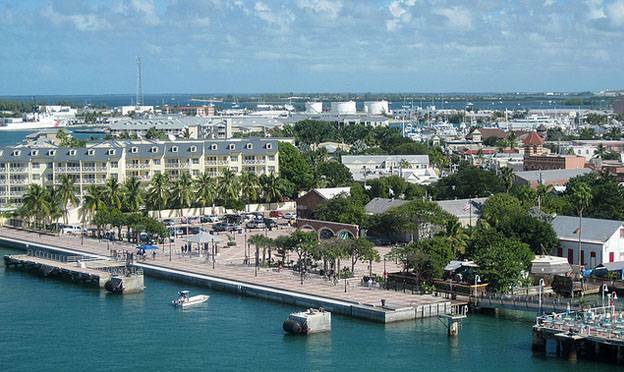 With lush tropical foliage and historic buildings, Key West lies approximately 160 miles south of Miami by car. History, culture, beaches, entertainment, art galleries and outdoor adventure await the visitor. Water sports include snorkeling, sailing and fishing, and a trip by catamaran to the Dry Tortugas can be taken nearby. Duval Street offers dining, shopping or dancing; it is one of the most popular places to be while visiting Key West. Sunset watchers enjoy Mallory Square, where a variety of street vendors and performers can be found to make a visit exciting and fun: For the children, face painting is a must here. An exciting vibrant city, Miami offers arts and culture, as well as a beautiful beach area. Lincoln Road has boutiques, shops and outdoor cafes and dining. South Beach is the district known for its Art Deco buildings, as well as its night life. 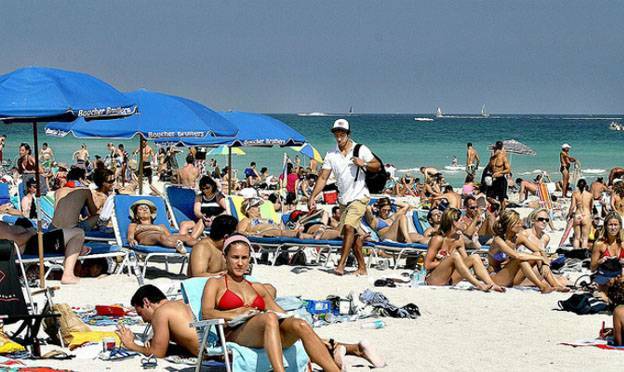 One of the most popular hot spots, South Beach has a European flavor and is the destination of many Europeans on holiday. Florida holidays contain stunning beaches, family fun and entertainment which should not be missed for a wonderful trip. Sandra, the author of the “Top Florida destinations for a wonderful holiday” aspiring author from England and a travel consultant working in London, UK.